Numismatics is not just the study of money. 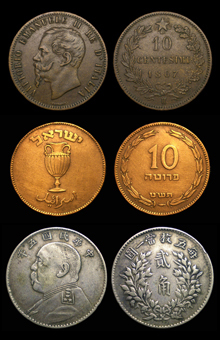 Numismatics encompasses economics, history, art, archeology, geology, mathematics, metallurgy, statistics, genealogy, sociology, and government. Much like an Art Historian studies human artistic output, the numismatist studies coins, banknotes, stock certificates, medals, medallions, and tokens. 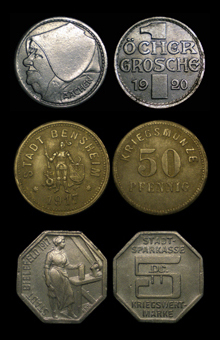 A numismatist is often a coin collector or a collector of money and medals but It is more than just collecting, it is a desire to discover the history surrounding the currency, the details of the process, the time and place, the monetary system whether modern or in antiquity, the artistry and the technique. Money is a direct result of the growing complexity of human civilization. A mechanism developed out of necessity due to labor specialization as society advanced and turned from villages to towns, cities, city states, and then nations. The study of money is the study of the history of civilization itself and each coin is a snapshot from a time and a place. If the Blacksmith no longer raises cows for milk or grows crops, how is he to procure these things? He trades his services and it is just a small step from trading his specialized goods and services, to being paid for his goods and services in a medium of exchange that will be accepted by those who grow the crops, or tends the livestock. This allows the Blacksmith the freedom to practice his trade exclusively and in so doing, he refines his craft and advances are made. Money allowed people to further specialize to the point where most people in today's society work in a specialized trade. For their work they are compensated with money, with that money they pay for those things they need but cannot produce on their own. This money is minted or printed and given a value by a government with the peoples consent. A societal agreement that we will work within this system of exchange. Such specialization is the reason for great advancements in human civilization, advancements that would be unlikely to have come about without money. Money is far from just a piece of metal or paper. That coin or banknote is also a small canvas that will be distributed to everyone in society where upon its maker can put images and messages. Every coin, every banknote, every medal is a small piece of history that helps paint a picture of the society it was made for. The time, the place, the man, the government, current concerns, past accomplishments, political propaganda, or just pleasing designs....all in the palm of your hand and more often than not there are thousands more just like it. Money serves an important historical purpose as well as its primary purposes being a system of exchange and valuation. Along with its primary purpose for commerce, all money has a message from the government, the ruler, or the maker to the populous who spends that money. The world and the future generations that coin makers know will be their audience. Currency is a great visual and tactic way to take a look into another culture or another time in human history. It is a great device for learning as there are a wide range of choices at just as wide ranging prices. Coins can be a way to make learning fun as it is hands on history. A jar of coins from around the world and from different periods of time is a great way to help teach students about the history of another culture.